That’s not just “Fearsome,” it’s awesome! I’m impressed that you can tackle serious issues with your Pictopoetry. Seems like it is a pretty rounded art form and not just for the fun stuff. I’m looking forward to seeing more. Thank you Martin. 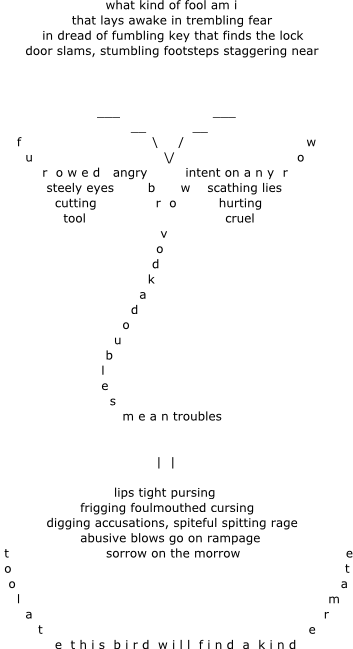 Yes I do find fun in creating these pictopoems and most of the topics and shapes are purely good fun! But I have also done quite a few, like this one, that show my serious side.